In the promo of the upcoming episode of Kumkum Bhagya, we see Abhi and Pragya both miss their other twin girl, Prachi and Riya respectively. In the latest episodes of Kumkum Bhagya, we see that Abhi and Pragya vow to never reunite. As suggested by Disha and Aliya, they keep one of the twin girls each and separate. It is mention worthy that the popular daily soap witnessed a generation leap tonight. The story now focuses on the lives of Abhi – Pragya’s twin daughters Riya and Prachi. Riya is the one who grows up with Abhi and is a spoilt brat who is pampered with everything in the world. Prachi is a simple girl who is sensitive and caring, a shadow of her mother Pragya! 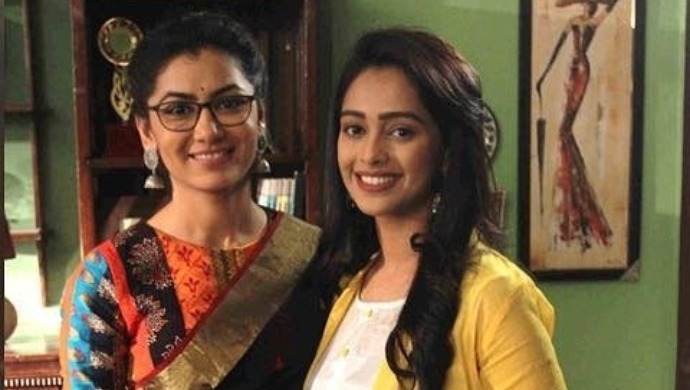 In the promo of the upcoming episode of Kumkum Bhagya, we see that Abhi wishes to meet his elder twin daughter Prachi while Pragya wishes to see Riya. Pragya is seen being told by Dadi that she should not ruin Prachi’s present and future because of her past. Pragya refuses to send Prachi to Delhi for studies because of her hurtful past in the city. Dadi tries to convince Pragya to not play with Prachi’s future. Will Riya and Prachi attend the send college? Will Pragya return to Delhi? Stay tuned to find out what happens next! Binge-watch or catch up episodes of Kumkum Bhagya only on ZEE5.